While I’m not a fan of bar cleansers, these are undoubtedly stunning in appearance. Cleansers can be divided into two main categories: bar or solid cleansers and liquid cleansers. Within each category are several subcategories of cleansers. 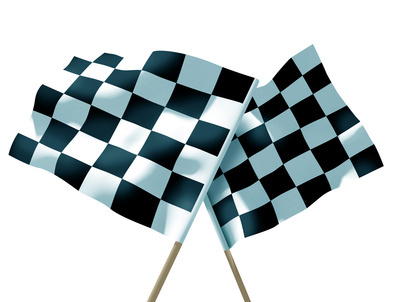 This article will briefly discuss each subcategory and what characteristics define them. Keep in mind that both categories of cleansers employ the same types of ingredients to do their bidding: emollients and surfactants. Emollients act as thickeners and temporary moisturizers, while surfactants actually cleanse the skin. They do so by reducing the tension between compounds that are more oil-soluble and those that are more water-soluble. How good a surfactant is at reducing this tension, is directly linked with its critical micelle concentration (CMC), which is the minimum concentration a surfactant needs to be present in order to form a micelle. Therefore, the lower the CMC of a surfactant is, the higher its potency. While almost all true soaps are bar cleansers, many bar cleansers are not true soaps–something that a majority of the consumer population does not recognize. The distinguishing feature of true soaps is that they contain one or more forms of the alkyl carboxylate family of surfactants, such as sodium stearate and potassium myristate. These surfactants are created via a process known as saponification, where some type of triglyceride (derived from vegetable oil or animal fat) is reacted with an alkali (typically sodium or potassium hydroxide), to form hydrolyzed ester moieties or soap molecules. Due to the inherent alkalinity (as opposed to acidity) of these compounds, true soaps typically give a pH value of anywhere between 9 and 11. For most people, while occasionally cleansing the skin with a true soap won’t be noticeably detrimental, regular use can result with excess dryness, redness, and inflammation–something that will be discussed in these posts (LINK). Superfatted Soaps: By adding in more of the triglyceride content (mentioned above) during the saponification process and/or less of the alkali content, the relative triglyceride content will increase. This imparts extra emollience, which will increase hydration by reducing transepidermal water loss (TEWL), while suppressing lather, which in this case, is directly linked to a soap’s ability to “strip” the skin. Transparent Soaps: If you’ve ever used soap before, you’ll notice that it’s usually a creme or off-white color, if no colorants are added. So when I encountered my first “see-through” soap, I was like, “Whoa! How cool!” If you’ve ever been in that same position, now you’ll know how that happens. It’s quite simple actually. By including a high level of glycerin, which is both a humectant and an emollient, formulators are able to further solubilize and dilute the alkali surfactants, resulting in the trademark transparent appearance. These soaps tend to be more mild than superfatted soaps and have a softer and smoother texture. Combination Soaps: As the name suggests, these soaps contain a combination of the alkali-derived surfactants of true soaps, with the milder synthetic surfactants that are seen in liquid cleansers. While this is an admirable attempt to reduce efficacy, the potency of the alkali-derived surfactants nevertheless overpower their milder cousins, resulting in a mixture whose pH remains in the 9.0-9.5 range–something we DON’T want. Transparent glycerin soap: Void of color, but prismatic nonetheless. Appropriately coined as “syndet bars,” these bar cleansers retain both the solid state of true soaps and the use of triglyceride-derived surfactants. However, syndet bars do not manipulate the latter via saponification. Instead, they rely on mechanisms such as sulfonation and ethoxylation. An example of ethoxylation is the synthesis of PEG-compounds by the addition of ethylene oxide. This process not only increases the water solubility of the original triglyceride content, which allows for easier mixing with water (obviously), it also reduces the potency of the originally harsh surfactants primarily by increasing the size of the interactive head groups (more on this later) with the addition of esters. Fittingly, it is the manipulation of these interactive head groups that is responsible for the lack of soap scum when using syndet bars. Soap scum is actually caused by an ion exchange reaction between soap molecules (alkyl carboxylate surfactants) and common metal ions found in “hard” water such as calcium and magnesium; NOT by the soap itself. Try using soap with distilled water, and you’ll see that no tell-tale residue forms. But getting back on topic, when soap is dissolved in hard water, a precipitate is formed when the alkali metal ions (like sodium and potassium) are replaced with alkali earth metal ions (like calcium or magnesium). As these newly formed compounds are insoluble in water, soap scum forms. By changing the head groups to ones that do not bind with alkali earth metal ions, the “newer” surfactants used in syndet bars such as isethionates and sulfonates, are far less susceptible to forming soap scum. Note that many of these “newer” types of surfactants are also used in liquid cleansers. And while every type of bar cleanser described so far exhibits a basic pH, syndet bars do not due to the absence of akali metals. Instead of giving a pH of ~9.0, syndet bars are characterized by a slightly acidic pH range of ~5.5-7.0. These are all reasons why syndet bars, which exhibit a a lowered pH range and the presence of milder surfactants, allow for a more gentle cleansing experience than true soaps. Hey, hey, hey! Liquid cleansers can be just as beautiful. Plus, they don’t get gummy. There’s not much to say about liquid cleansers. They are just like syndet bar cleansers, again utilizing both emollients and surfactants to do their dirty work. Literally! However, liquid cleansers contain a lot more water and are generally more varied in terms of what surfactants, emollients, and humectants can be used. This is because unlike with bar cleansers, formulators aren’t limited to choosing components that remain solid at room temperature, dry quickly after use, and do not absorb water and become mushy in a humid atmosphere. In some ways, formulating a bar cleanser is more difficult than doing so for a liquid cleanser! But getting back on track, as stated liquid cleansers are much more diverse than bar cleansers. For example, it’s a lot easier to incorporate compounds that need to remain solubilized in order to function (such as glycolic acid and benzoyl peroxide in “acne” products) into a liquid cleanser, than a bar one. Furthermore, it’s a lot easier to manipulate liquid cleansers so that they give an acidic pH similar to that of healthy skin. However, keep in mind that liquid cleansers (and some syndet bars) that utilize soap (alkyl carboxylate surfactants), can retain a basic pH. Other than emollients and humectants, which will discussed in the “Moisturizers” section (LINK), the primary characteristic that differentiates one liquid cleanser from another, is the choice of surfactants. They will be discussed next. Note that many manufactured “oil” cleansers like the Clinique Take The Day Off Cleansing Oil and the MAC Cleanse Off Oil, are still technically liquid cleansers. While many people consider them to be in a separate category when compared to something like the Neutrogena Fresh Foaming Cleanser, they are essentially the same things. There are just higher amounts of emollients in these “oil” cleansers–something that’s good for longer-wearing formulas because they increase the solubility of any oil/makeup on the skin. But regardless, surfactants are still present to sweep everything away. Similarly, “micellar” cleansing waters are also still considered liquid cleansers under our current definition. In the past few years, micellar cleansers have been all the rage with everyone from celebrity makeup artists to dermatologists claiming that they’re like nothing before seen. When in reality (and the gleeful manufacturers know this), they utilize the same two types of compounds to do their bidding: emollients and surfactants. The only difference that separates micellar cleansers from more traditional liquid cleansers, which also happens to be the same difference that separates any type of liquid cleanser from another, is the choice in surfactants and emollients, as well as how much of each is used. In order to remain like water, micellar cleansers use low amounts of water-soluble and lightweight emollients like glycerin, and low to high amount of surfactants that tend to be more gentle and exist as liquids at room temperature like the PEG-compounds mentioned above. As it turns out, micellar cleansers have a lot in common with more traditional liquid cleansers. 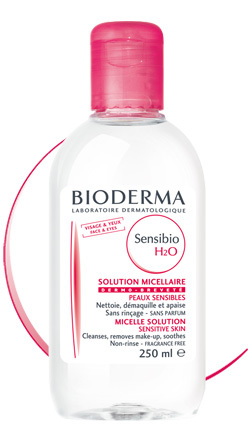 To demonstrate this, let’s examine the chief avatar of micellar cleansers: the Bioderma Sensibio H20. Water, PEG-6 Caprylic/Capric Glycerides, Propylene Glycol, Cucumis Sativus (Cucumber) Fruit Extract, Mannitol, Xylitol, Rhamnose, Fructooligosaccharides, Disodium Edta, Cetrimonium Bromide. As you can see, this contains a decent amount of PEG-6 caprylic/capric glycerides, which is a synthetic surfactant that exists as a liquid at room temperature. It also contains a low amount of propylene glycol, which acts as the primary emollient (and solvent). Finally, there’s a tiny bit of cetrimonium bromide (a cationic surfactant), that acts more as a preservative than a cleansing agent. So really, what’s so different about this? While it may exhibit a different tactile experience, it operates under the SAME principle as any other liquid cleanser. 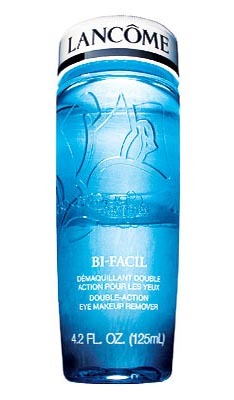 Think of micellar cleansers as the water-soluble portion of a dual-phase eye makeup remover. As only one half of their dual-phase counterpart, while most skin types can use them, micellar cleansers generally tend to be less effective at removing makeup. So micellar cleansers are certainly an option to consider. Just know that they’re not some breakthrough miracle product, unfortunately. What’s the Best Type of Cleanser? It’s no surprise that I champion liquid cleansers; they are the way to go. From cleansing milks to foaming washes and micellar waters, virtually everyone will find an appropriate option. Plus, liquid cleansers are also super easy to use. Just pump/squeeze and go. Syndet bars are another option, but I personally find them to be too messy and impractical to deal with on a regular basis. Clearly, true soaps should be ignored. If you’re looking for less mess and hassle, I’d recommend a dual-phase makeup remover, as opposed to plain petrolatum or olive oil when it comes to removing heavy makeup. And it is a valid assertion. The applied oil will help loosen and soften the layer of oil on the skin, while the physical force of friction (as you rub this over the skin) will help emulsify that layer of oil. But therein lies the problem. You’re sitting or standing there with a doubly thick concoction of your facial oil and the cleansing oil on your skin, wondering how to remove it. You can try rinsing it off, which won’t help because water and oil don’t mix. You can also try wiping it off, which kind of defeats the purpose of using a “gentle” cleanser, since you’re repeatedly rubbing the skin in an attempt to remove all the oil. At the end of the day, you still need some kind of surfactant-based product (whether it’s a liquid cleanser or a wipe) to remove the oil. And you’ll have to use even more of it, since you’ve essentially added more oil. I’m personally not a fan of this type of cleansing. It makes a one-step process into a two-step one. However, I admit that for certain purposes, these types of cleansers can be useful. For example, they can be great at dissolving waterproof mascara and eyeliner on and around the eye area. After rubbing the oil around for a while, the use of a surfactant-based cleanser can then easily and gently sweep everything away. Even then however, I’d recommend a good eye-makeup remover (almost all contain some type of surfactant already) and a cotton pad or washcloth instead. But hey, if that’s a way for you to save money or perhaps enjoy your cleansing routine more, go for it! What’s your take on Zinc as an ingredient in skin care and if there’s a better type of zinc than this one? I’m skeptical because it’s a bar soap and I’m skeptical because Pyrithione Zinc, if I’m not mistaken, is what’s super common in medicated shampoos for scalp conditions and I’ve always seemed to be sensitive to it getting more itchy. For sunscreen, I seem to tolerate Zinc Oxide well and my skin seems happier with a mineral based formula. I’m not sure if regularly using at least 2% Zinc Oxide could be considered a replacement for this or if something entirely different as an “antimicrobial soap” would be more appropriate and if so, what would you recommend to serve this purpose? Or if you think this approach is unnecessary, please let me know that as well. Actually, zinc pyrithione (ZP), does have plenty of research demonstrating efficacy in terms of efficacy, especially against certain species of fungus. Most notably, you’ll see ZP in most dandruff shampoos, as you know. In terms of using it for “acne” it can be a beneficial supplemental treatment. I put “acne” in quotations because sometimes, it’s not actually acne. But anyways, this soap may be helpful. In fact, I personally use a generic 2% ZP shampoo as my body wash to keep my body “acne” in check. 😉 It’s not that effective, but I do see a small–but noticeable, positive change. Also, the product you linked is not a true soap–assuming that the full ingredients list is what’s shown; so it’s not going to be that stripping. As for zinc oxide having similar effects as ZP, that’s not going to be the case. Therefore, if you’d like, this could be a beneficial part of your routine. Saponification. I love your posts! Is the slimy feeling of some stronger soaps from the surfactants or the alkalinity or maybe both? (This could be a third-grade science question, but I’ve always been curious about it.) So glad you’re back! Well, if you’re talking about soap scum, this post does address the cause of that. If not, I can only venture to guess that when you mean slimy, you mean that it feels so in its container before using it. The cause could be a variety of things. For example, it could be soap scum, or leaving it in the humid and hot environment of your shower, the emollients used, etc… I really can’t tell you for sure. Ultimately though, it’s just one of the reasons why I avoid soaps (true or syndets). They’re just too much of a hassle. I’m happy you’re back, John. I have a question regarding the current cleanser I use, which is CeraVe Hydrating Cleanser because they also have a Foaming Facial Cleanser which is marketed towards oily skin. Now I have oily skin, but I’m starting to see signs of rosacea and was told that a foaming cleanser might be too harsh for my skin. So I’m wondering if that’s true, because I’m torn with whether I should be using the foaming cleanser to help with my oily skin or stick with the hydrating cleanser to help my skin from getting irritated. Could you help explain the difference between a creamy cleanser vs. clear liquid cleanser and the effect they have on my skin and which one should I really be using? That’s a good question, and it’s something I will address in the last part of the Cleanser series. But it isn’t too complicated to understand. More emollient liquid cleansers tend to be less effective at removing oil because one, they are adding more “oil” to the skin, and also (usually) contain less surfactants. In addition, they tend to contain weaker surfactants. Now, that’s not saying that emollient cleansers can’t be effective. While they tend to work better with drier skin types, you don’t have to switch cleansers if you’re getting the results you desire (from a cleanser). There are very few hard fast rules in skin care, so don’t feel like you HAVE to use a foaming cleanser just because you have oily skin. That being said however, you said that you’re seeing signs of rosacea while using your current cleanser. Can you tell me what exactly led you to this conclusion? Also, you do have some control over how harsh a cleanser is. For example, you can use less cleanser, more water, etc… to have a more gentle cleansing experience. So the foaming version wouldn’t necessarily be too strong for you. Thanks John and that does make sense. I started to notice broken capillaries with some redness on my face right on the tops of my cheeks a little over a year ago now and it’s been getting worse. I saw a dermatologist about it just recently and was told it’s most likely a mild case of rosacea. Because I do not have any bumps associated with it, they didn’t prescribe anything like metrogel or something like that. I also have mild acne with my oily skin, so he gave me a prescription for the lowest does of retin-a micro and was told to use CeraVe wash and lotion, just keep it simple. To answer your question, I don’t believe that the cleanser has caused the broken capillaries, I was pregnant at the time when I started noticing it and also recently turned 30. My derm told me that pregnancy can cause changes in your skin and on top of that rosacea is more common after 30. So to answer your question I don’t believe the cleanser was the cause of my issues, I just wasn’t sure if it would make my problems worse and now with your answer I think I may try going back to the foaming one and I’ll just carefully watch to see if my skin has any reaction to the strong cleanser. Thank you! But yes, you can certainly try the Cerave foaming cleanser. How are you liking your overall routine so far? I’m asking because it seems a bit odd (at least from my understanding) that the dermatologist would diagnose you with rosacea and then prescribe you a retinoid (albeit a more gentle formulation), when retinoids are generally not recommended for those with rosacea. I personally would have had you try an azelaic acid lotion or gel, as azelaic acid is great for those with rosacea and acne because it is mildly exfoliating, anti-inflammatory, as well as being slightly antibacterial. If possible, I’d recommend asking him/her about trying azelaic acid, if of course, you aren’t already satisfied with the results you get. Please keep me updated with your situation! Wow, I found this interesting. I feel like I’m going to learn a lot with every new post you create! I do have a kind of strange question… can you manipulate the pH if a cleanser (bar soap or otherwise) is higher than desirable or is that quite dangerous considering, even if it were possible… would you generally need something quite acidic/harsh/irritating to have an impact (or at least to adjust the pH enough to a more acceptable range)? It’s kind of weird to think of possibly adding two non-ideal ingredients/formulations/pHs to form one more acceptable one. I wonder how one would go about attempting that and if it’s definitely not recommended, why not? That would get even more complicated, as well as messy, I would think. But I’m mainly wondering about the feasibility more than the practicality of such an undertaking. Just curious. Glad you like it! I realize that this is not the most applicable article, but it’s still a great source for reference. Well, at least I hope it will be. Haha. Theoretically and practically (with the right tools and protection), a neutralization reaction is certainly possible. But for the average person, it would be difficult and potentially harmful. As true soaps form strong bases in solution (aqueous), in order for a quick and complete neutralization reaction to occur, strong acids need to be used. (Hydroxy acids, apple cider vinegar, etc… are all “weak” acids). Note that “strong” does not necessarily mean that an acid is corrosive; just that it ionizes completely in solution. But most of the strong acids are highly corrosive and not readily available to the general public, at least not without some manipulation. I mean you could probably make one by using a car battery. But I digress. 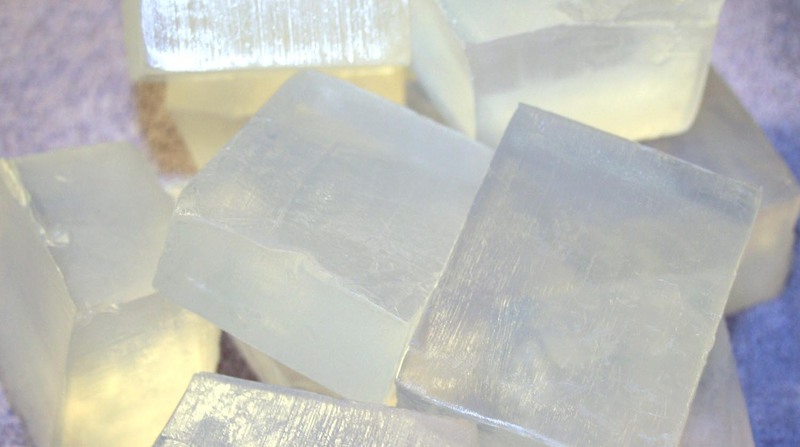 As most highly alkaline soaps are in a solid state, one would first have to either melt it down or emulsify it with water, before combining it with the acid. And one would have to know the proper amount to use based on stoichiometry, pH, pKa, the use of color indicators, etc… in order to achieve a usable final product. So to answer your question, yes it is feasible. With a solid understanding of chemistry and practical experience… well, I mean anything is possible. LOL. In the next part of this cleanser series, I actually teach everyone how to look for true soaps ingredients in cleansers. It’s actually quite simple. But going back to your example, the Dove product is actually THE classic syndet bar! 😉 It does contain a small amount of true soap, but it’s dominated by the more gentle synthetic surfactants. I’m glad to hear you’ve found something that just plan works! I personally love micellar waters, but I agree they do not remove everything. They are however really good for cleansing in the morning, when you don’t need to remove make up! Yay! Isn’t it nice when you find something that fulfills your needs? I just don’t like having to use so many cotton pads–something that works best with micellar cleansers. God knows I use enough already. Haha.